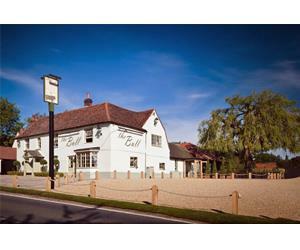 The Bull at Great Totham01621 893385work Public HouseThe Bulls best kept secret, the delightful cottage set in the grounds has been tastefully renovated to provide four beautifully appointed double en-suite bedrooms. The rooms are individually decorated in a contemporary style with luxurious bedding and carefully chosen matching accessories. In the morning you will be served you breakfast in our gastro bar, the breakfast menu can be found on our website www.thebullatgreattotham.co.uk, as all food is prepared freshly if you have a special request our team of chefs will most likely be able to assist you. Our rooms are available for occupancy from 14.00 hours and we require them to be vacant at 11.00hours, if you require your room longer and we can assist we will, however a small charge might need to be made for very late checkouts. On arrival why not try out our afternoon teas or book a table in our fine dining restaurant, if it more casual dining then the gastro restaurant will be suitable. Menu, our staff are local and if there are places of interest you require information about please do not hesitate to contact us prior to your arrival or when you arrive.